Mike Tyson has lived in his fair share of mansions, including the one 50 Cent toured on Mtv Cribs and this one in Arizona. 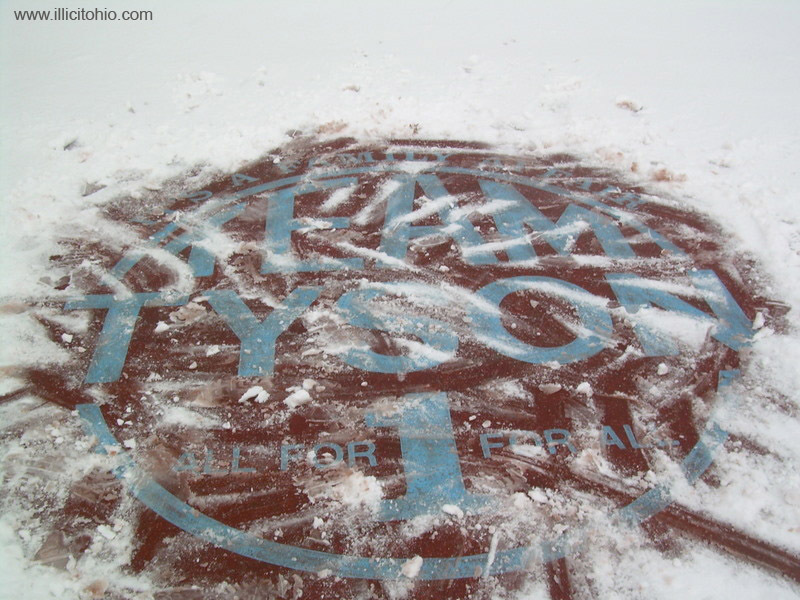 A site called Illicit Ohio has discovered a former mansion of Tyson’s, that is unoccupied and abandoned in Ohio. 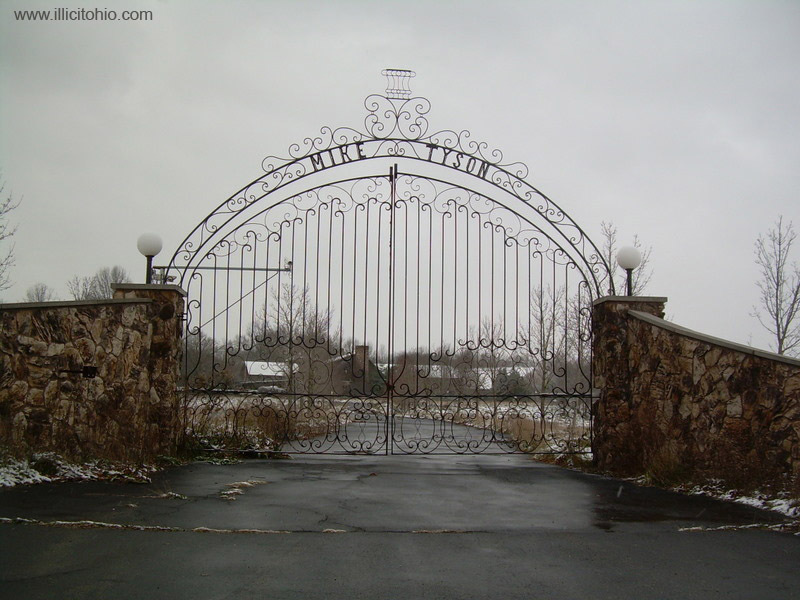 In what is a very strange situation, the site’s editor walked through the property and photographed Iron Mike’s old “crib.” The guy photographs abandoned and empty buildings in Ohio, so he must have a lot of time on his hands. According to our tour guide, Tyson owned said mansion in the late 1990’s and it’s currently possessed by the Feds. Paul Monea, a career con-artist and Tae-Bo infomercial huckster, bought the mansion from Tyson for $1.3 million, but the Feds seized the property after finding Monea guilty of selling the house and a 40 carat diamond right to an undercover FBI agent, posing as a drug dealer. Monea purchased the place in 1999 and the house has sat unoccupied since Tyson moved out. Well, the doors are wide open, there is no power, the lawn hasn’t been mowed, and no one seemed to question me walking around it, including a Cop who I’m fairly certain saw me leaving and didn’t seem to mind. 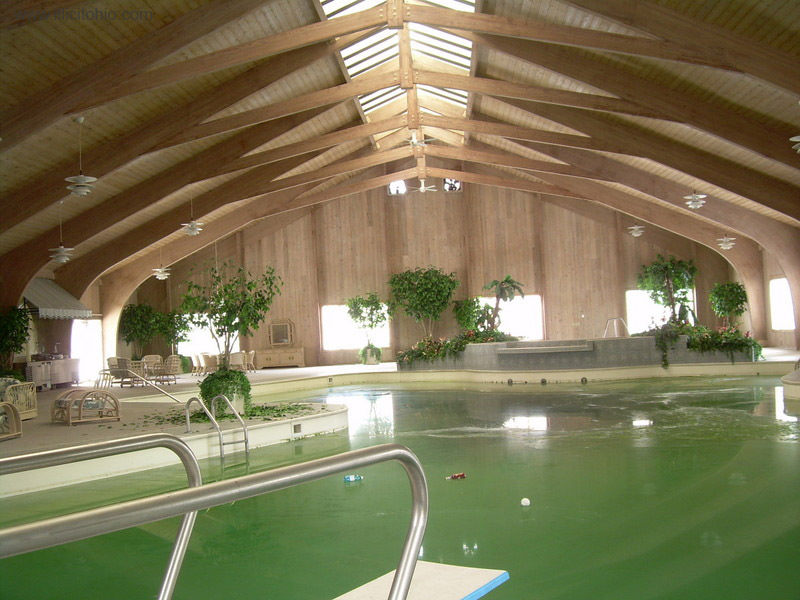 The house features a 10,000 square foot swimming pool room, complete with green and infected water. 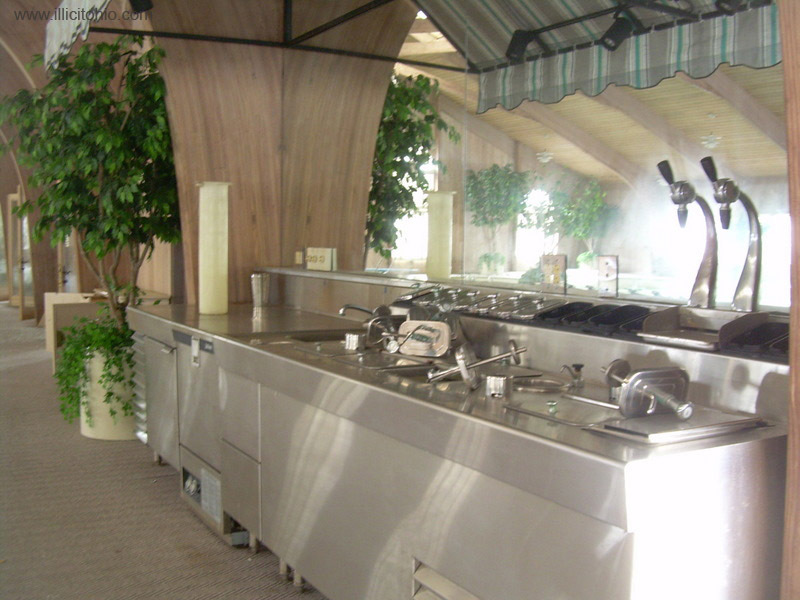 There’s also a sundae bar, next to the pool for Mike’s homemade banana splits. The house contains a hot tub, waterfall, tiger cages, basketball courts, and a 6 foot tall big screen TV (still in the place). 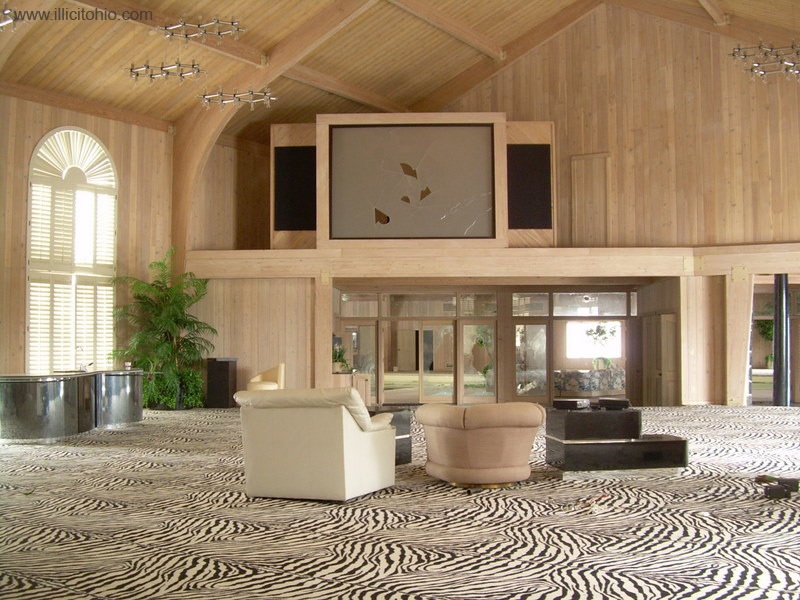 We really dig the zebra striped carpet. I hope the dude who shot these photos doesn’t get arrested for trespassing and if you’re reading this blog don’t loot the place! So awesome, I’ve always dreamed of a sundae bar by my imaginary indoor pool. It just proves that dreams do come true. c’mon, give the poor guy a break, you deticate nearly all day, every day for most of your life doing nothing but training to knock guys out and see how much tastefull cultre you develop !! The greatest boxer ever…He would have TKO MA,GF,and everyone in his prime…Thank 2 Don King 4 fucken him up in everyway. This house is not abandoned anymore. Someone bought it in 2011 and renovated it. Tacky puts it mildly -what a boring abandoned property. perhaps through life own nice homes . but as an Australian builder .i admire people who .excel.not to mock them or sling off. spend your dollrs and keep the wheels turning. .
What a shame. So many people in need and it just sits there. It could be a place for the homeless. Or make it a place for kids. What a waste. But the goverment owns it now. So it will sit there and rot.